Marcasite jewelry has been around for ages. It was crazy popular in the Victorian and Art Noveau eras and has made it's way back in fashion today. 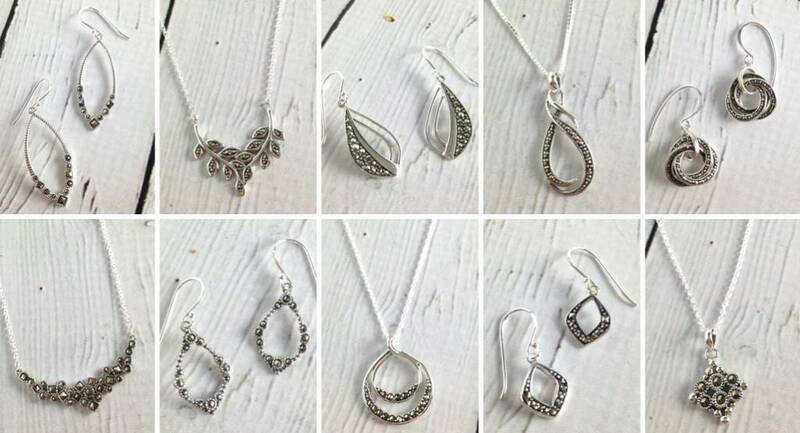 Our marcasite pieces are modern with cool shapes and styles. Their blackish-grey stones feel edgy and moody like a classic black leather jacket. A piece of marcasite jewelry can be a "goes-with-everything" basic as well as a "show-stopping statement piece." Check out some of our favorite pieces on our website here, or stop in the store to see a much larger variety of marcasite styles.